The last days were as jam packed as the last once, and believe it or not until the last minute there was something to see. So many things hat change, so many things that make it a truly unique experience. 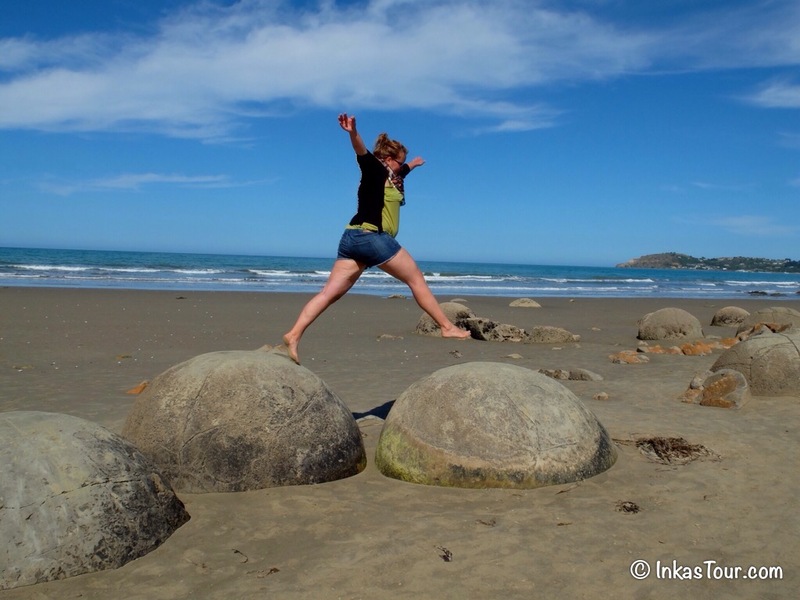 The last days have come, and the Tour continues up the East Coast of New Zealand, with again some spectacular things along the way. 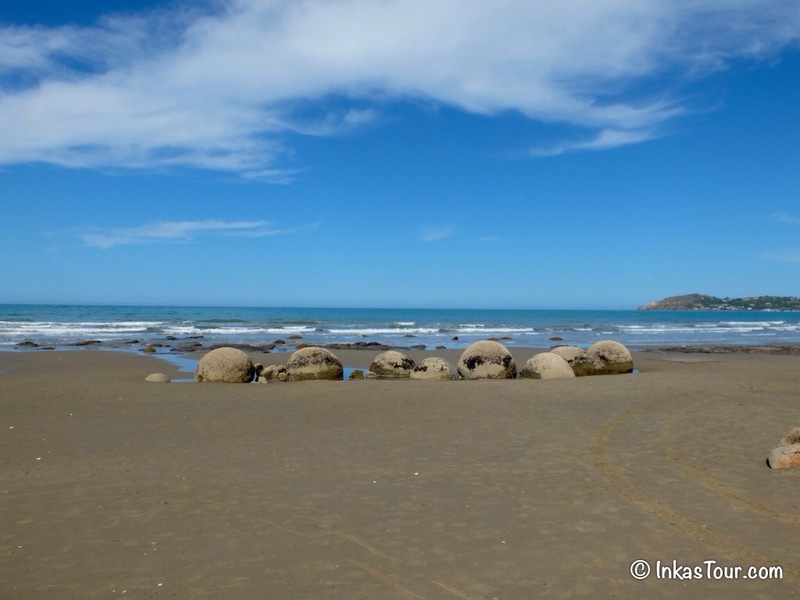 Tunnel Beach a very secluded Beach just outside of Dunedin, the Moeraki Boulders unusual spherical boulders on Koekohe Beach. 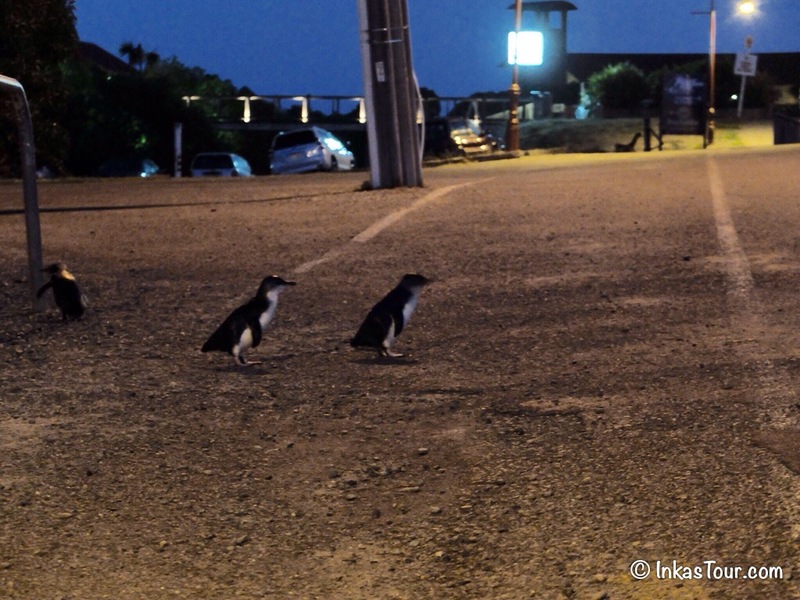 and not to forget he legendary Sign : Penguin Crossing in Omaru, were the smallest Penguins in the world find their home. How is there a better day to finish the day? 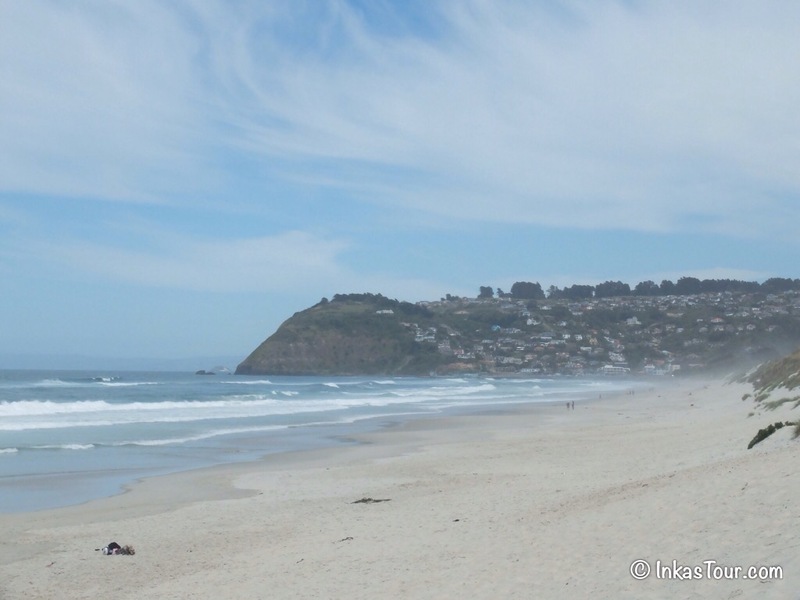 A little suburb of Dunedin, at the Beach of St. Clairs. 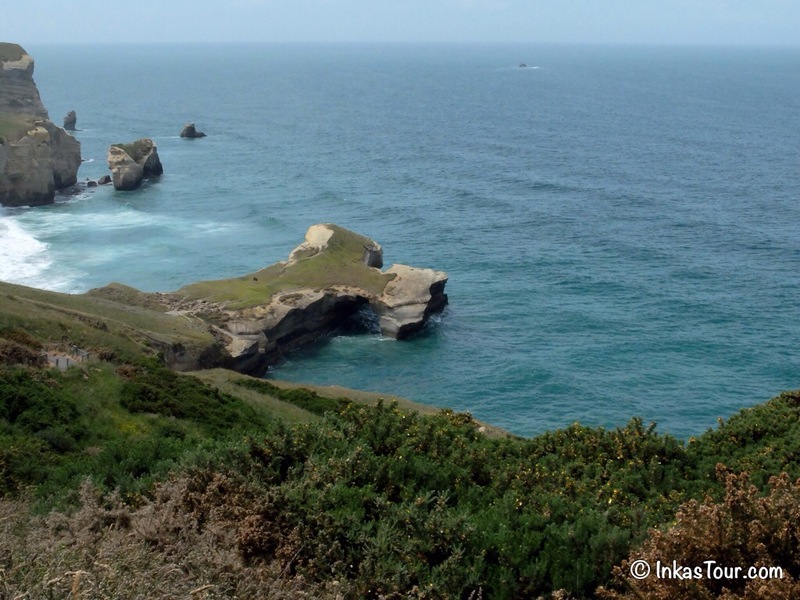 We where on our way to Tunnel Beach, eventually we found it. Somewhere down there is a Tunnel to access the Beach. The Cliffs on the way down, pretty spectacular, kinda reminds me a little of England or Ireland. 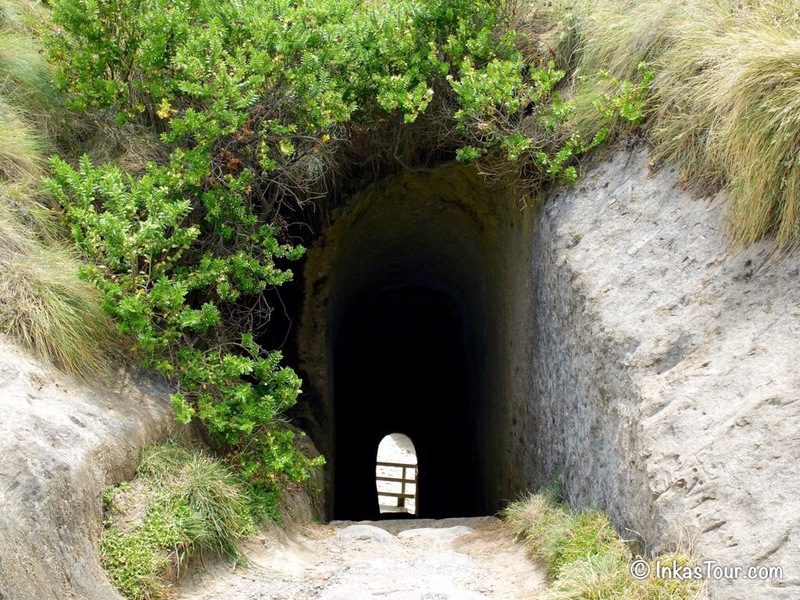 Finally the Tunnel, I wonder what will be down there? 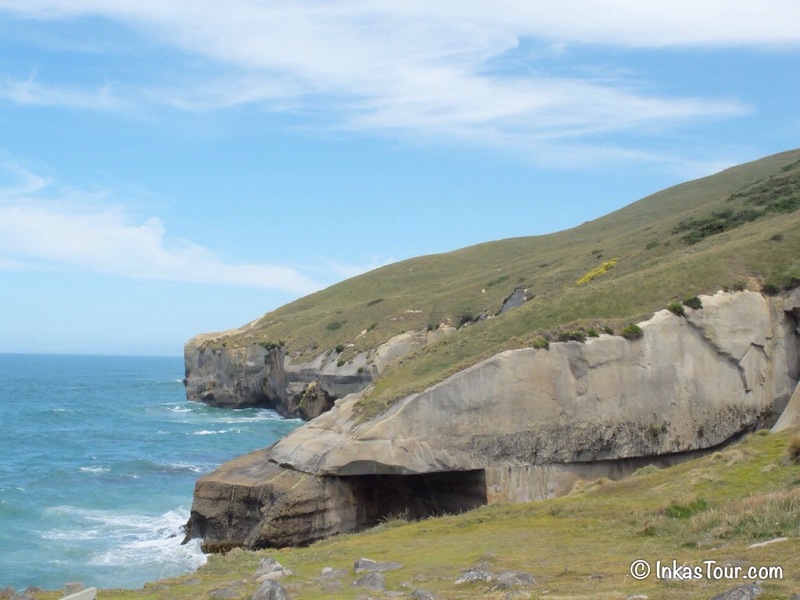 The amazing Tunnel Beach, who would have expected this before walking through the Tunnel. 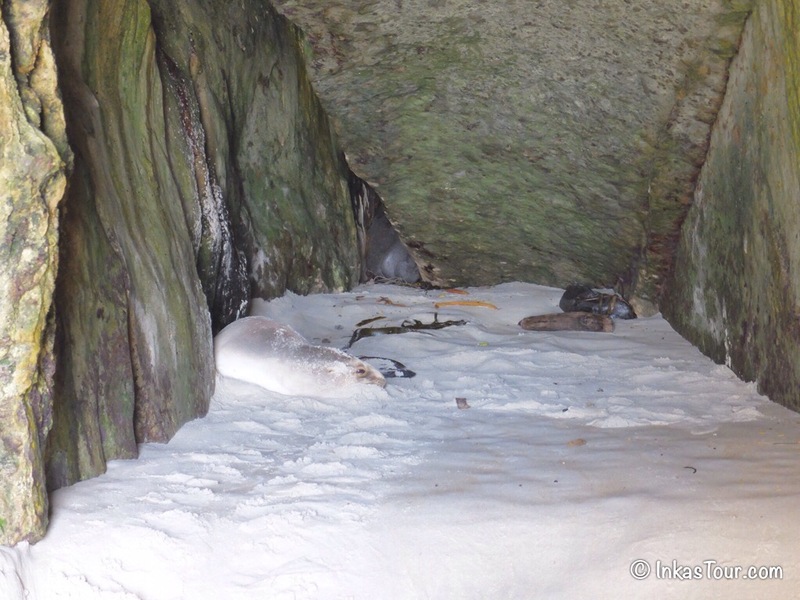 In a little cave just around the corner, we even saw another Sea Lion. This is a female as they are the only once having this light color. 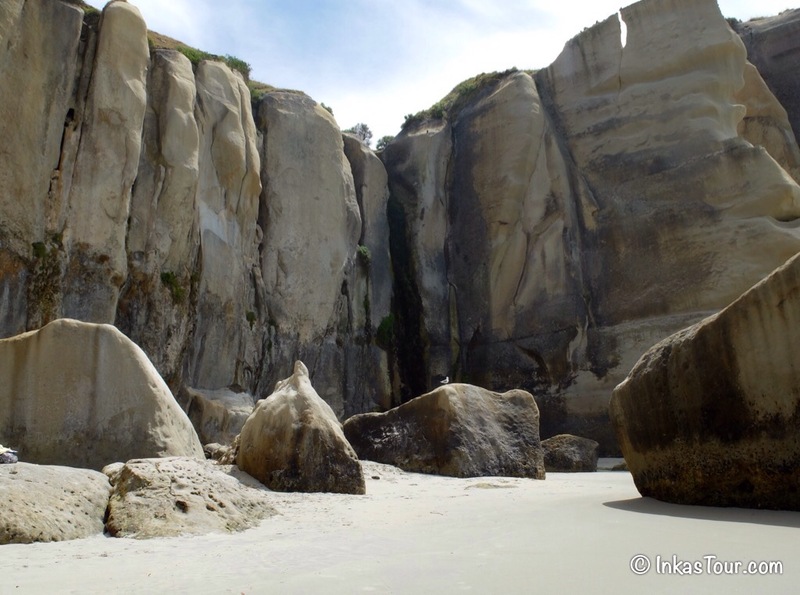 The little Bay of Tunnel Beach is surrounded by these cliffs, I think I could spend all day here. although the water was starting to come in as we where about to leave. 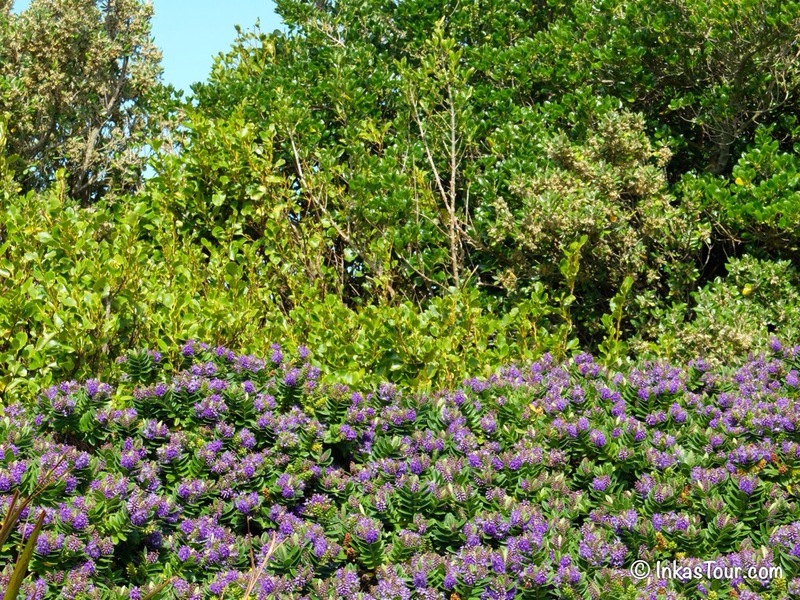 So much growth everywhere, and pretty little flowers. Meet Sunny, this is her who has given us the opportunity to travel around. 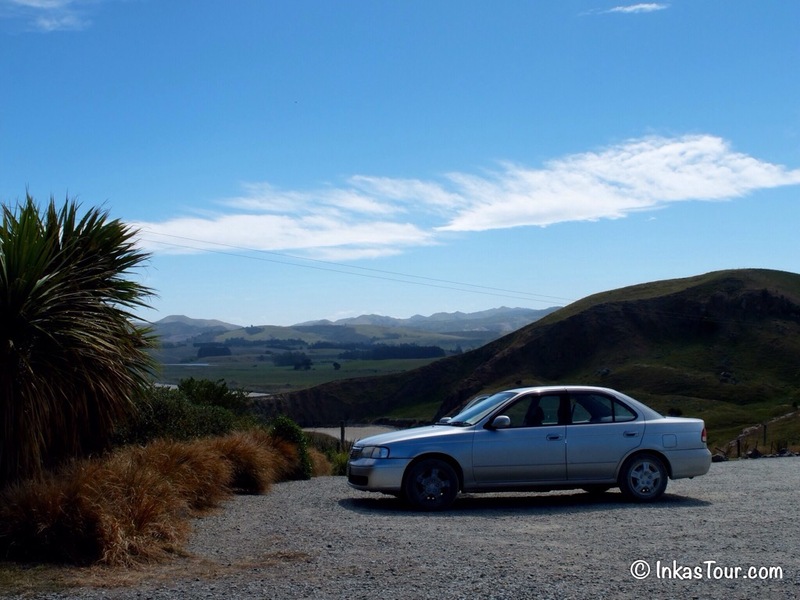 A couple of Rolling Hills of New Zealand, I am amazed at the depth of the landscape. 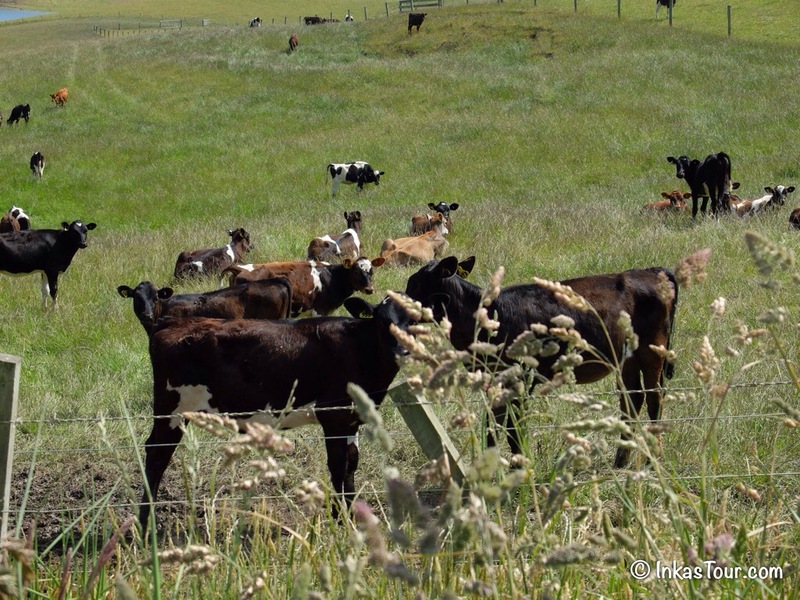 What would New Zealand be with out its Cows? Almost the same as no Sheep and that would just not be possible.. 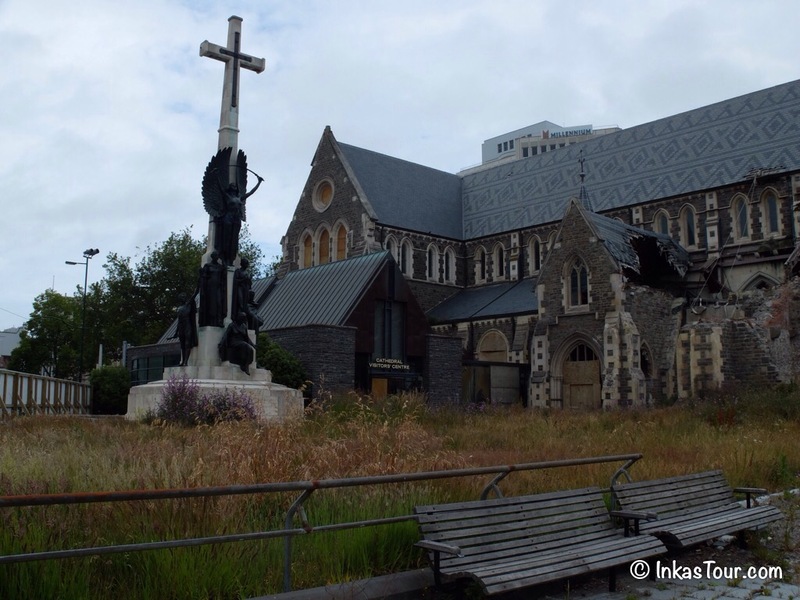 The St. Paul's Anglican Cathedral, in Dunedin. 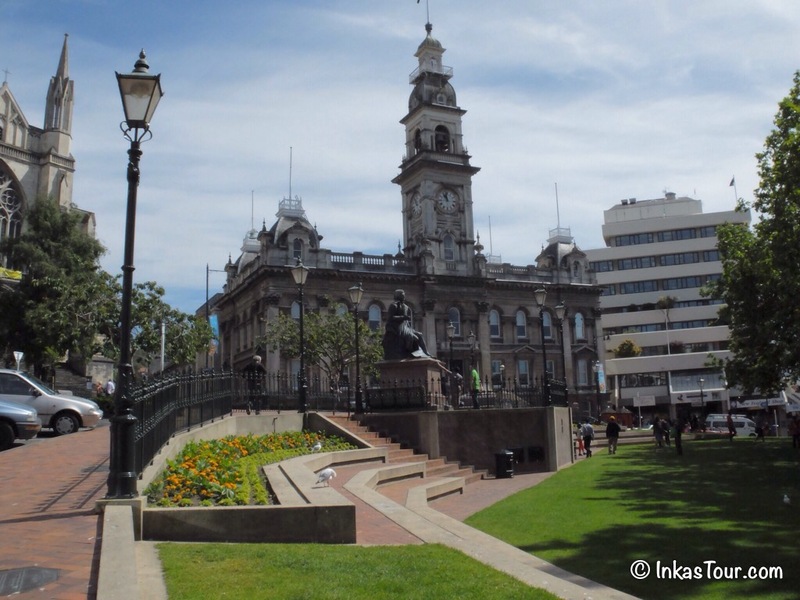 The Municipal Chambers of Dunedin, originally Build between 1878 -1880. Alternations where made in 1990 like shorting the Tower. 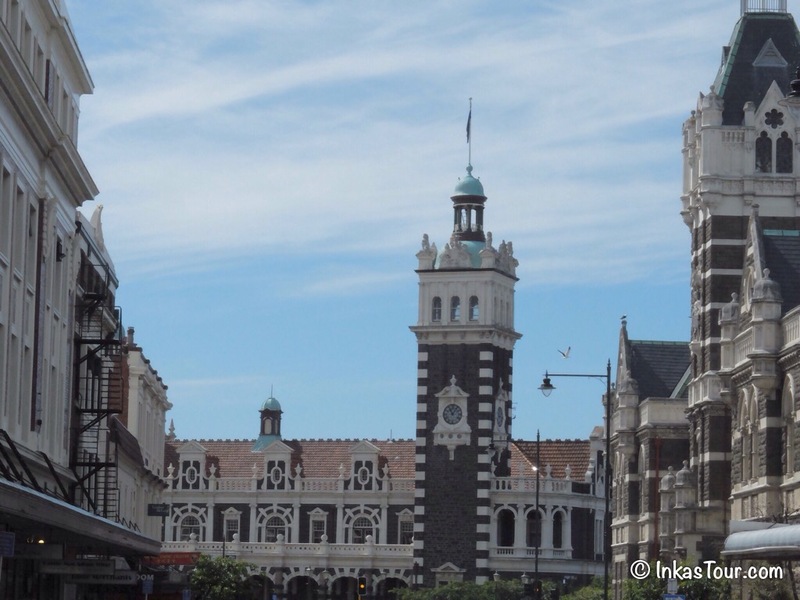 The Railway Station of Dunedin, has some amazing Mosaic Work inside. 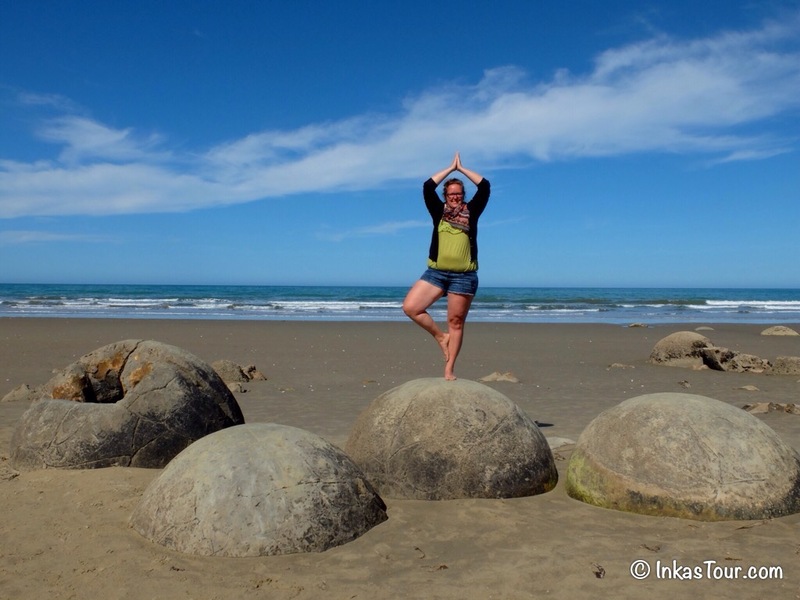 The Moeraki Boulders on Koekohe Beach 3 km outside of the township of Moeraki. On the Visitorsguide to this Area, there was a person jumping from one Boulder to the next, I though it was a pretty good idea so hear we are. 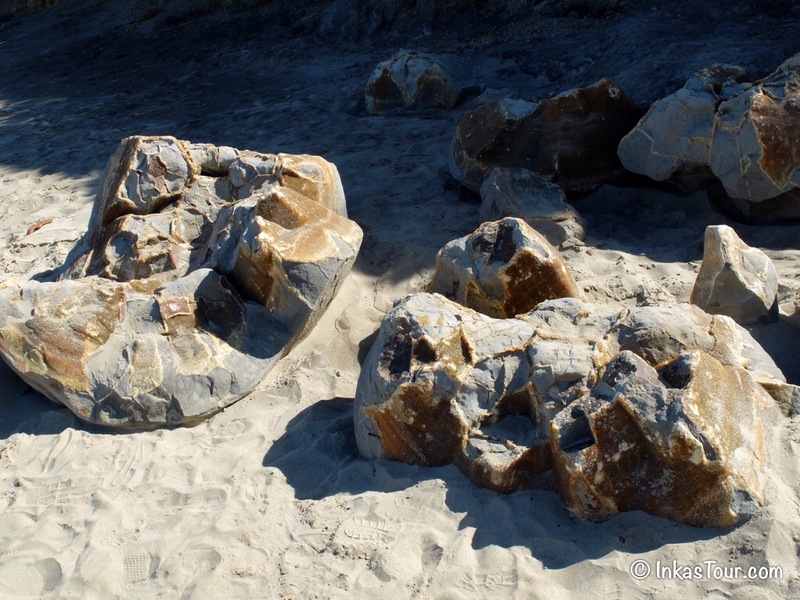 A look in the inside of these Boulders, they look pretty neat even then. 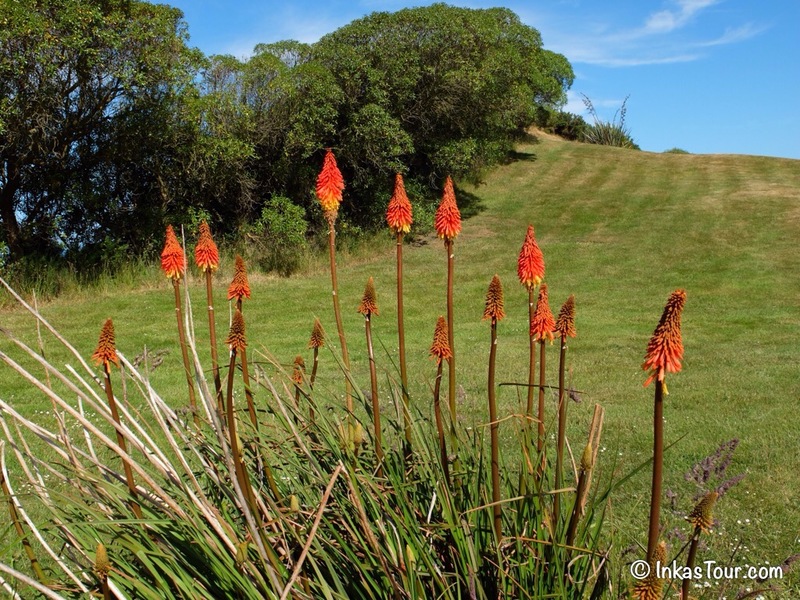 I am not sure what these Flowers are called, but they reminded me of the Canadian Paintbrush. 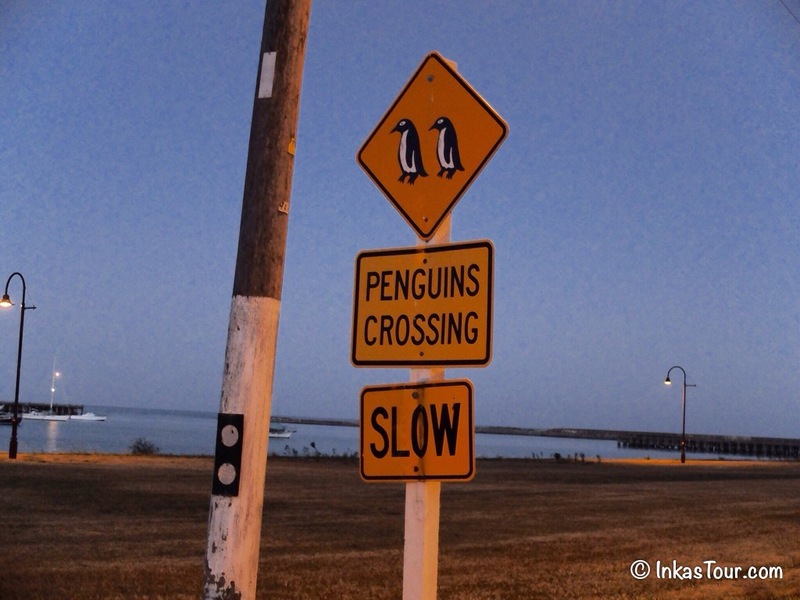 Arriving in Omaru, we heard the best time to watch the Mini Penguins is just after Sunset, well we got lost but we got to see this beauty..
Penguin Crossing, probably the only road sign that these little Penguins will ever have. 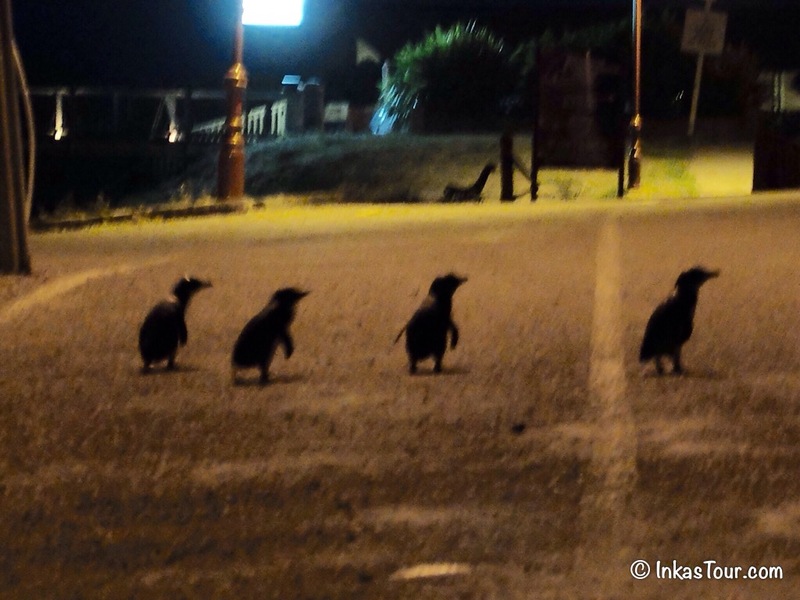 At the Backpacker Crossing, ( there is a paid version with 400 just 400m away, but you get to see the same thing) there are roughly 200 Pemguins living here, each night they cross the street. They are very Noice sensitiv snd will only get out of Hiding like above when they feel the Air is clear. Always in groups they cross together, this reminds me of the Famous CD Cover of the Beatles the only thing missing is the Crosswalk. 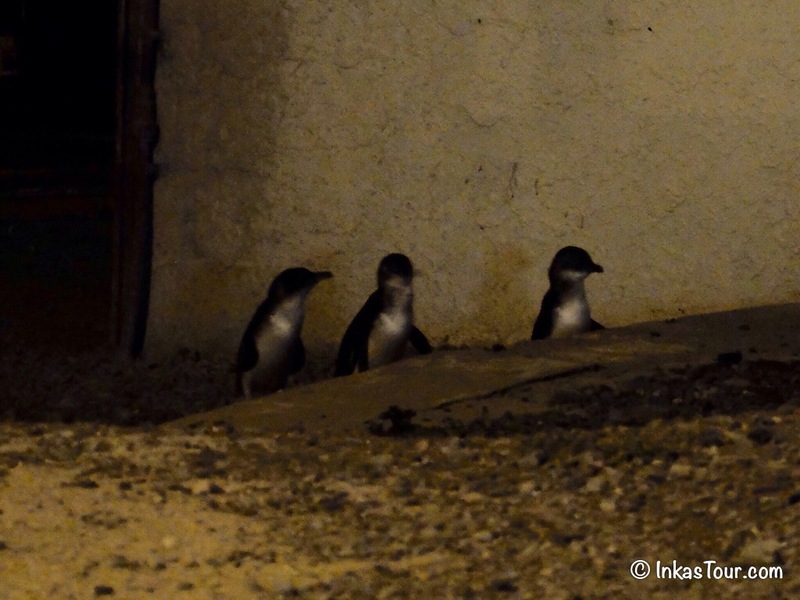 Oh an in case you did not know these are the smallest Penguins in the world. 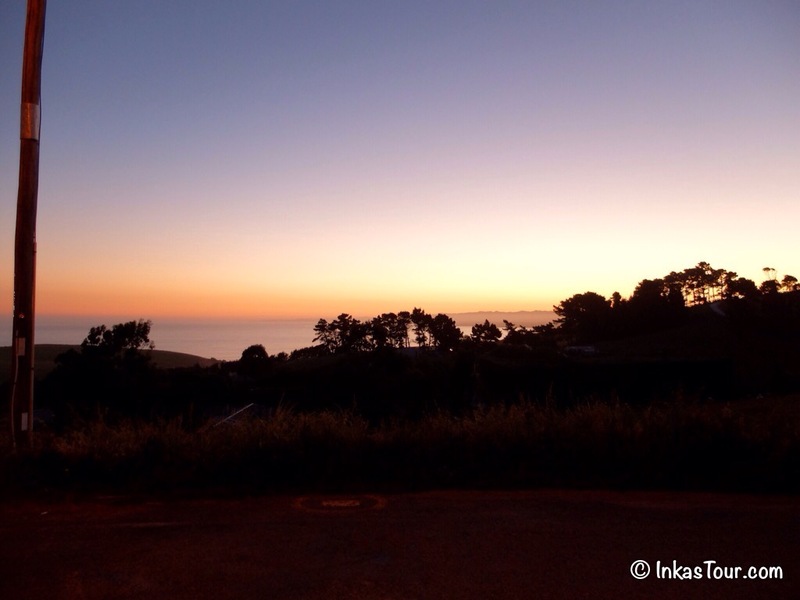 I found this am amazing way to end the day, however the locals don’t seam to like the Penguins very much because they stink and poop right under their Houses. But who was hear first the People or the Penguins? Take the loop to Mount Coo, it is well worth it. It was a very scenic day, so much nature. 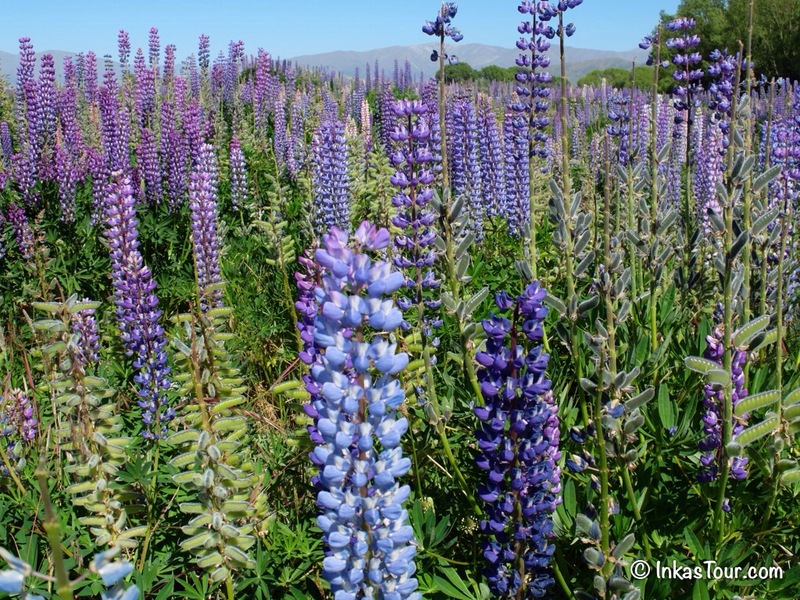 To me the most beautiful scenes where those with the Lupins, even though they are classified as a pest. 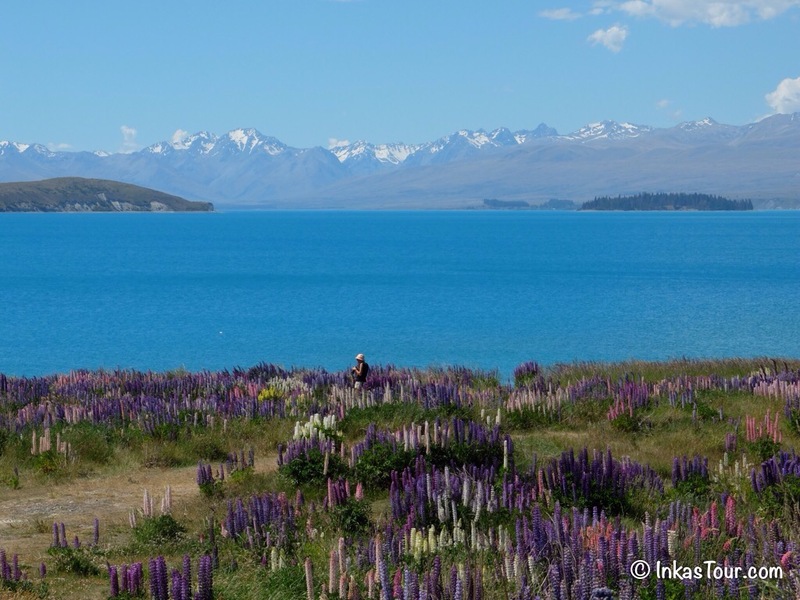 Lake Pukaki with Mount Cook in the background, New Zealand Largest Mountain. Be inspired. And as much as some days are good they don’t always end so well, we were not very happy with our choice in the Hostel we stayed at. It’s just not a good vibe when the Manager is just totally incompetent, has really has no clue what he is really doing. 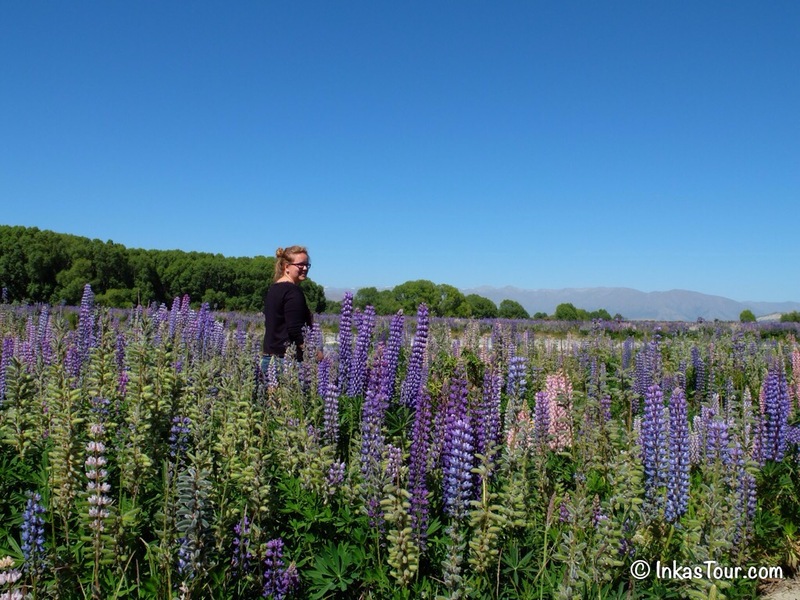 A sea of Lupins, they can be found from mid November to mid January. 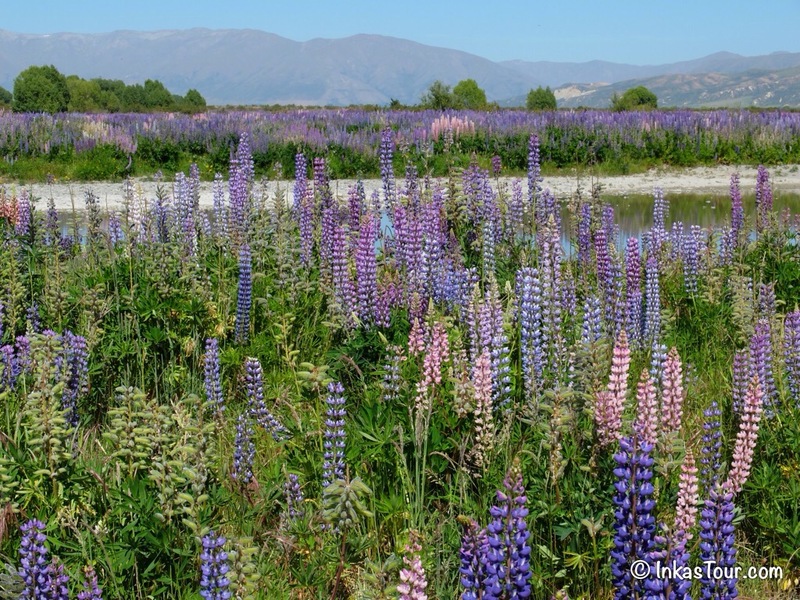 This is located just outside of Kurow, with the Waitaki a river flowing..
A Detailed look up close. 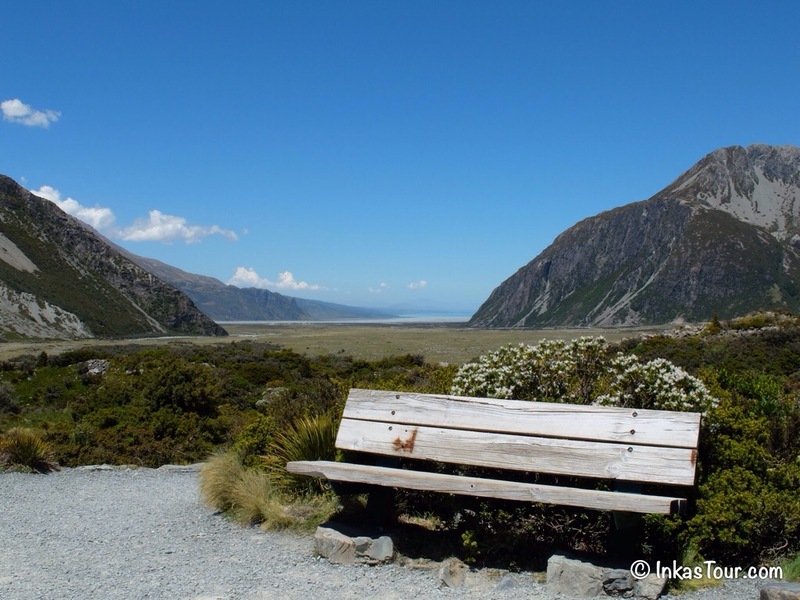 The reason to take the Road, Mount Cook in the distance. 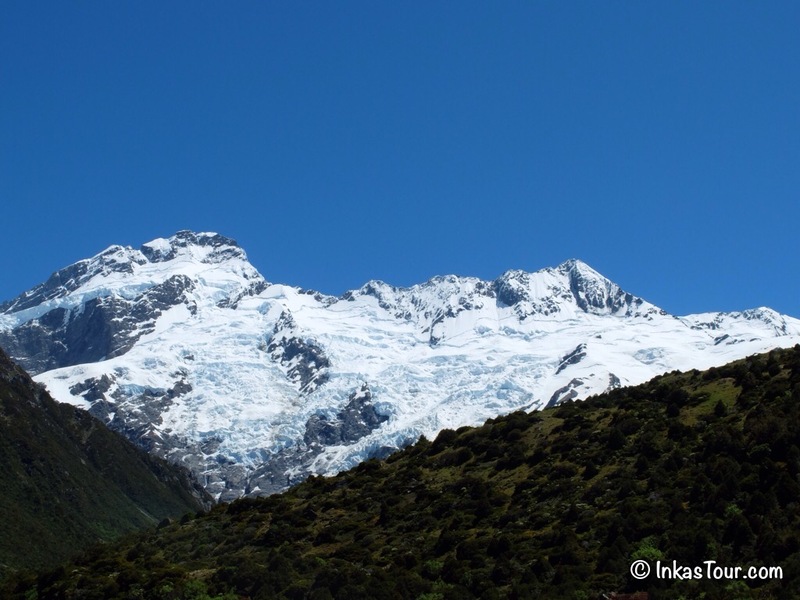 New Zealand's highest peak at 3754m. ( It's the Peak on the left). Mueller Glacier, it's a total of 13 km long. 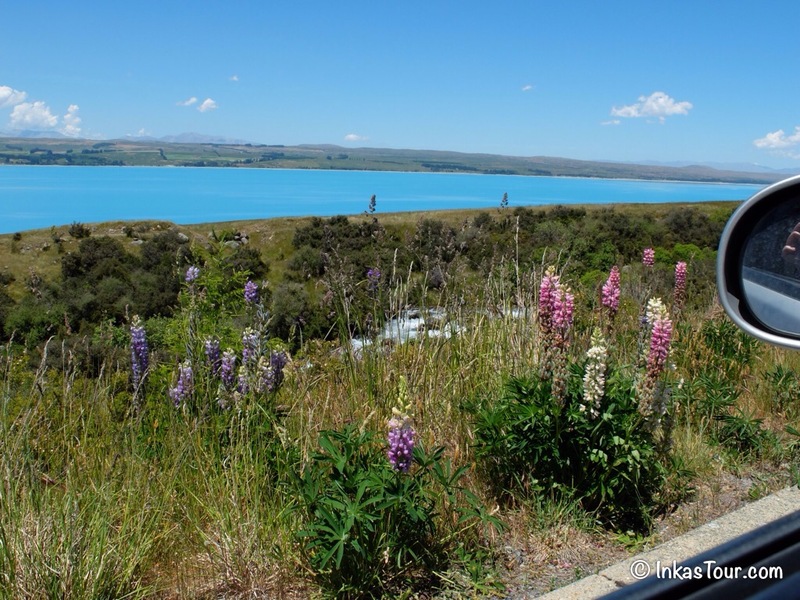 A View of the Valley, in direction of the Mount Cook Village and Lake Pukaki. 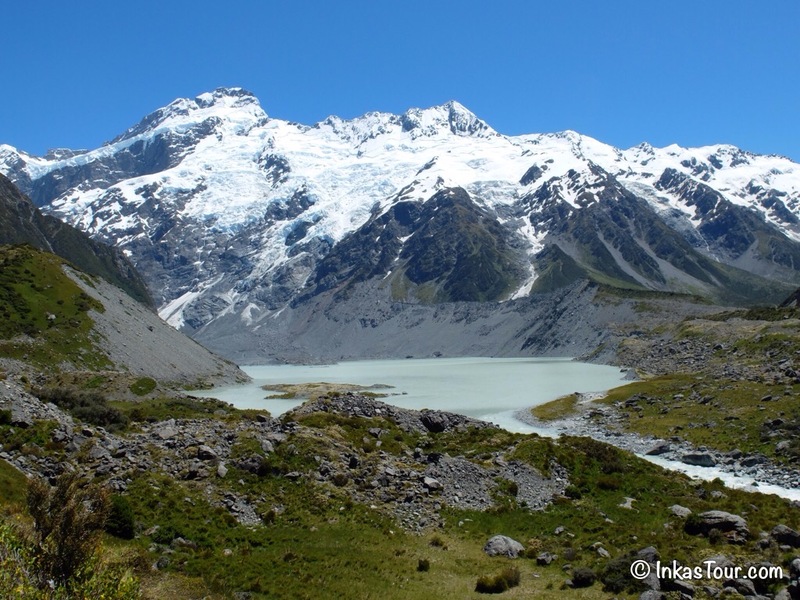 The Mueller Glacier Lake and Glacier. 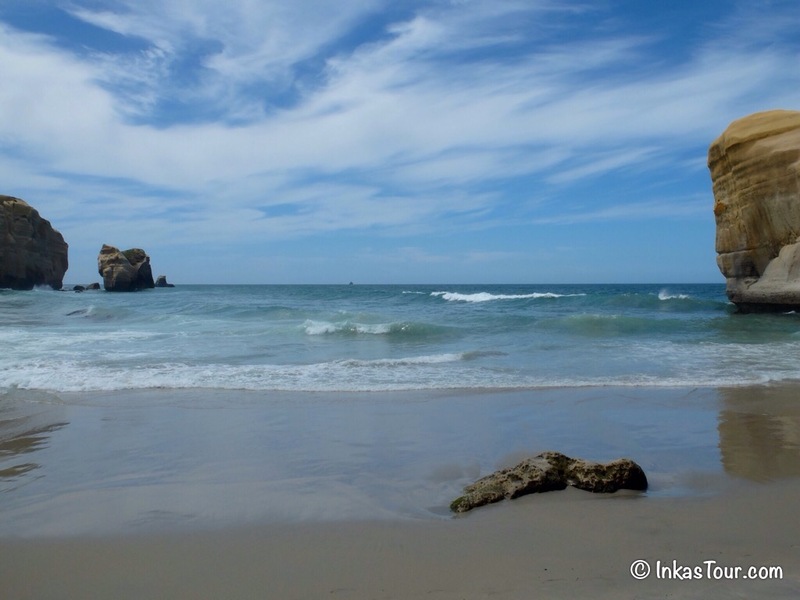 Whst luck we had with the weather we had again. 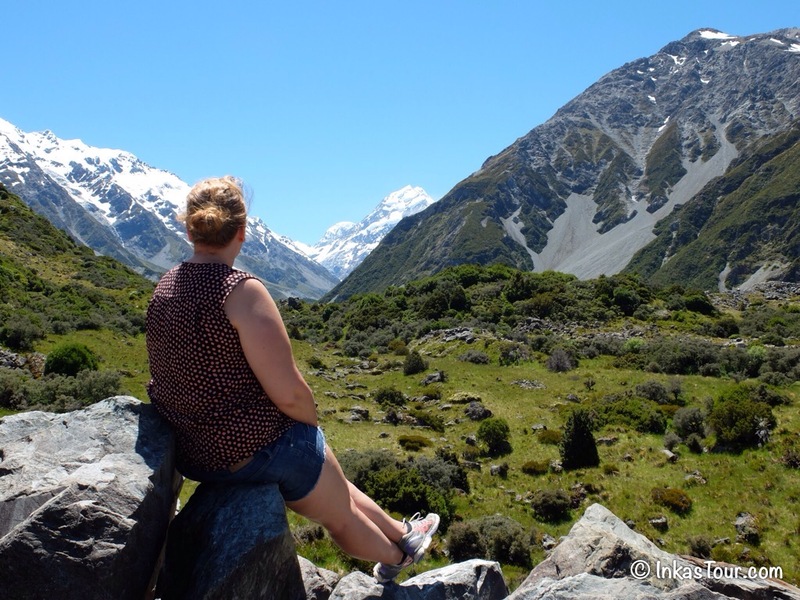 Enjoying the Magestic Mount Cook. Yes it is the smallest one, that is the highest peak. 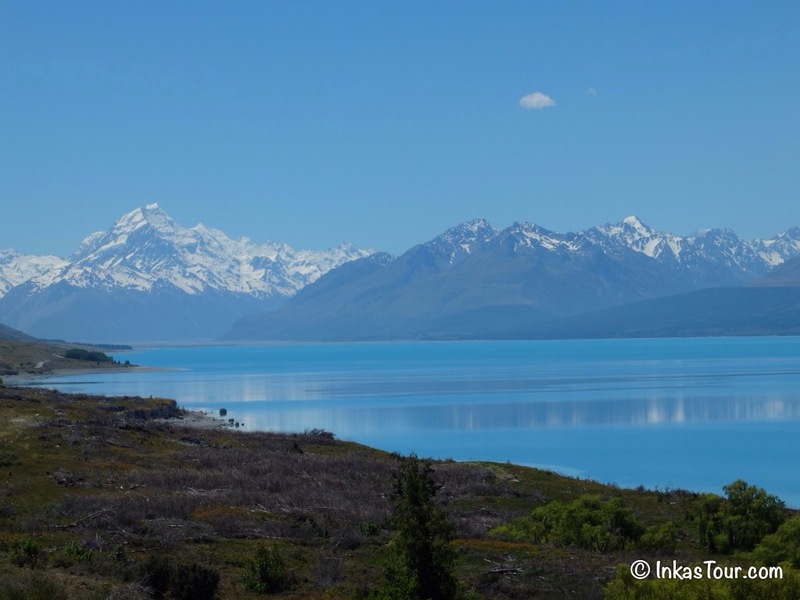 An optical illusion..
Lake Pukaki, the lake in front of Mount Cook, the drive to Mount Cook goes all the way along this Lake, it's has a length of 70km. 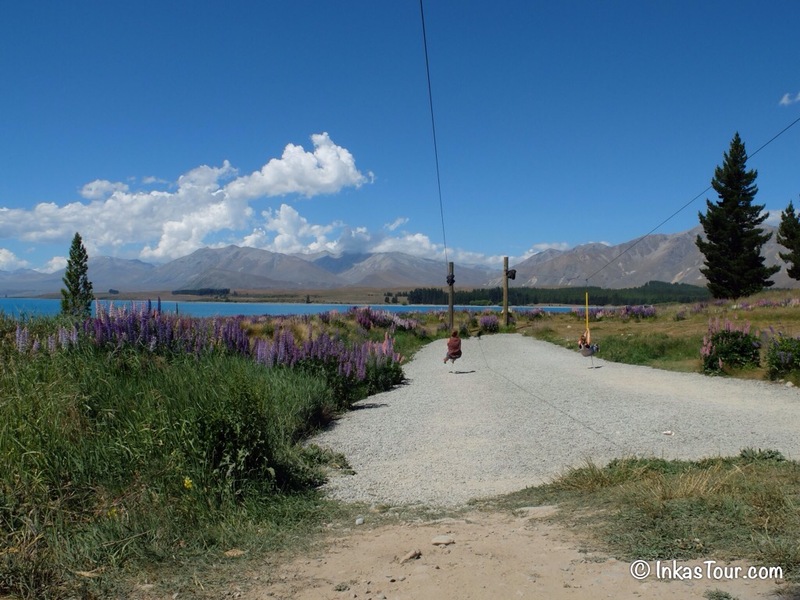 A little further down the Road another Body of Water, Lake Tekapo, and also a loved Holiday Destination by a lot of New Zealanders. 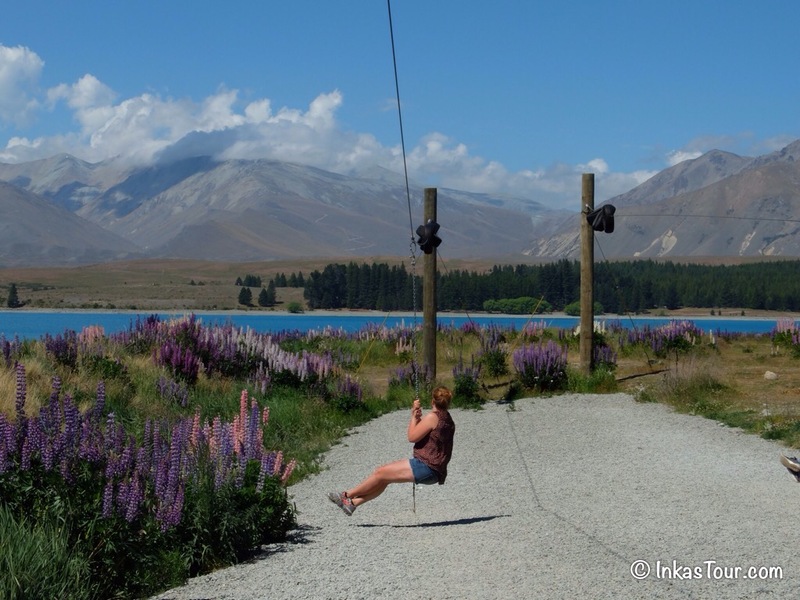 much like Lake Pukaki, Lake Tekapo is also a Glacier feed Lake. Another chance to be kids again, there was a zip-line at the Lake, can't get any more fun than this..
Got to love self timer, never know what shots come out, but even hear I did not mean to cut out Alina..
After a bad night we where just hoping that our last Hostel on the trip would be better. We have had so much luck through the times, that I guess there just has to be an unlucky day. 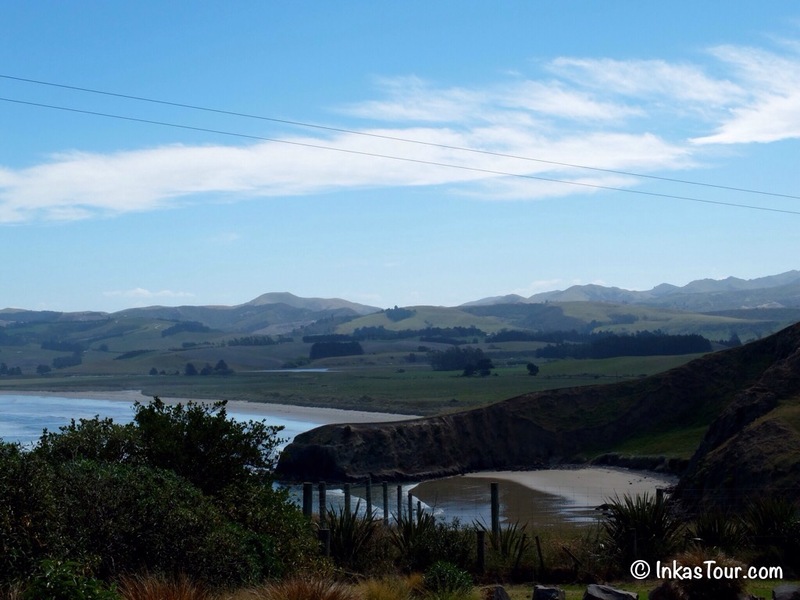 Today there was not much ahead of us, only about a 3 hour drive to Christchurch. We arrived around noon in the city, and boy was it different. 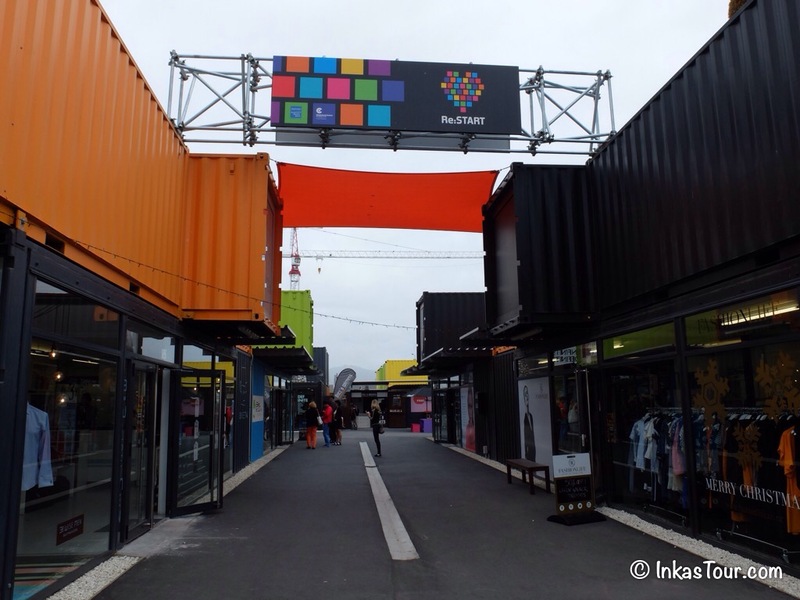 All the things you heard about Christchurch are probably correct, however I am truly amazed what the city has done, everywhere there is Artwork, they build a mall out of Shipping Containers, and really pulled it together. It’s definitely different, but I has a soul and you can see that everyone is working together to design there city new! Now when do you get a chance like that? 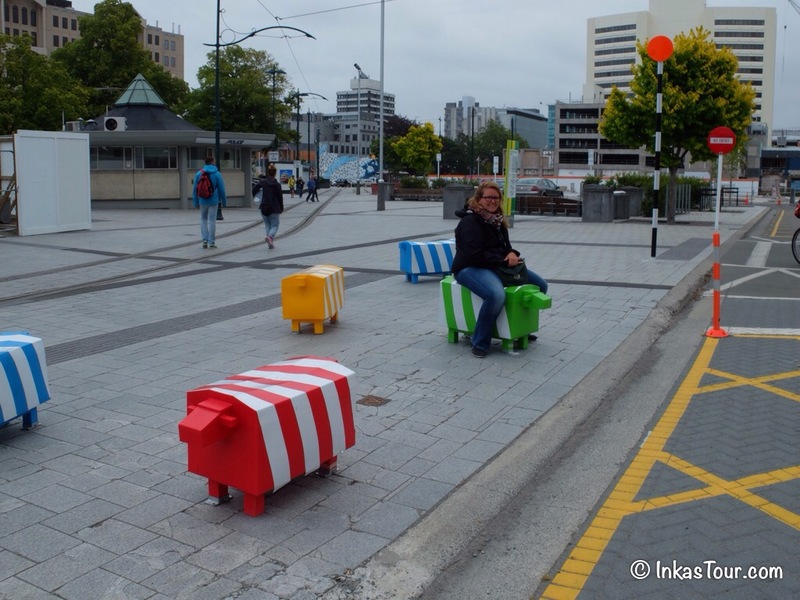 After Christchurch was hit by the Earthquake in 2011, they have build up the city. Among may pieces of Art, these sheep can be found throughout. 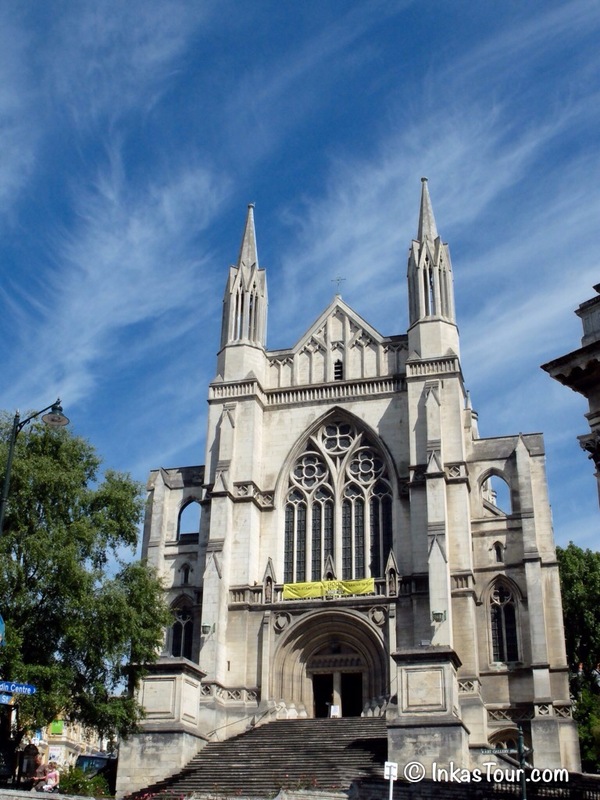 The Cathedrsl of Christchurch. Lucky only the front part is damaged although there are still needing a few Millions to rebuild it. I overheard one visitor saying " Why not rip the whole thing down?" I would say that would be the most stupid thing to say of all. All through out the City there are Giraffes, under the Motto Christchruch stands tall.. 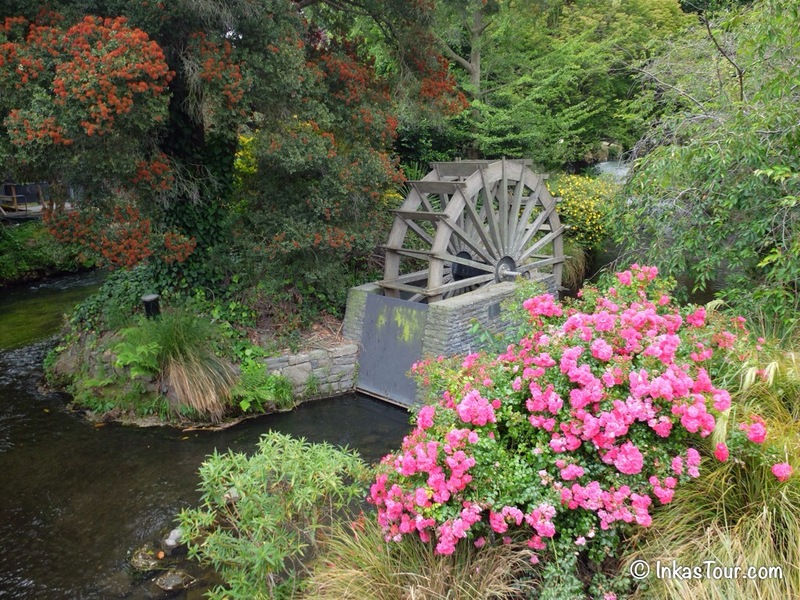 The untouched Christchurch, along the Avon River. In order to keep the economic booming, this it the re-start mall build out of Shipping Containers. A sense of modern art. 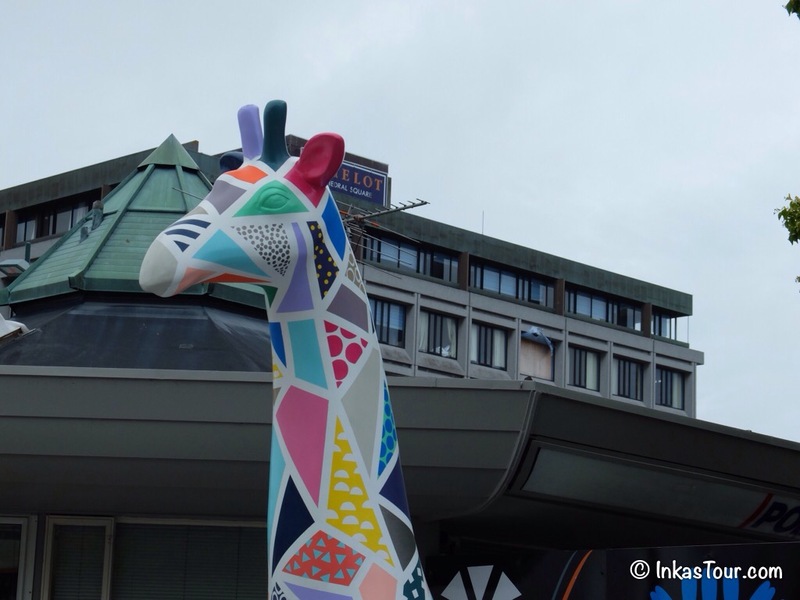 One of the colorful Giraffes in the city. 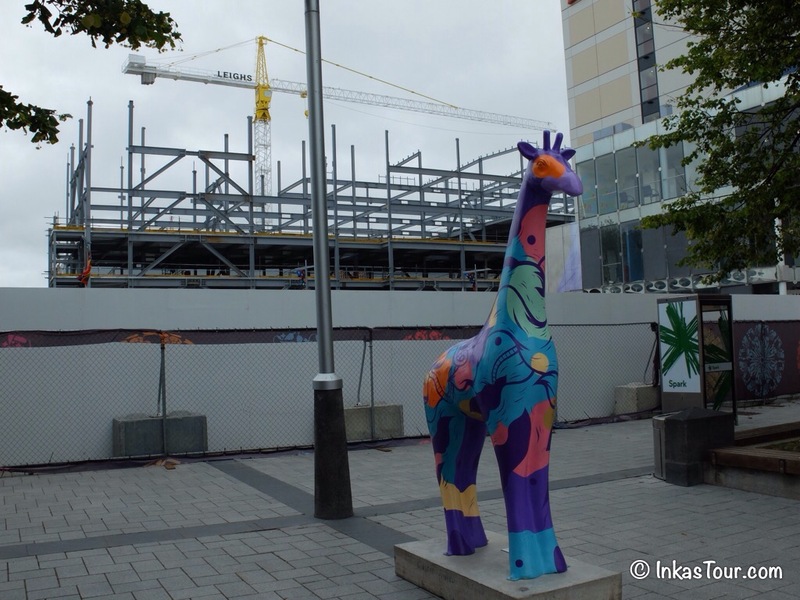 All these Giraffe will be auctioned off in February to raise money to Rebuild Christchurch. 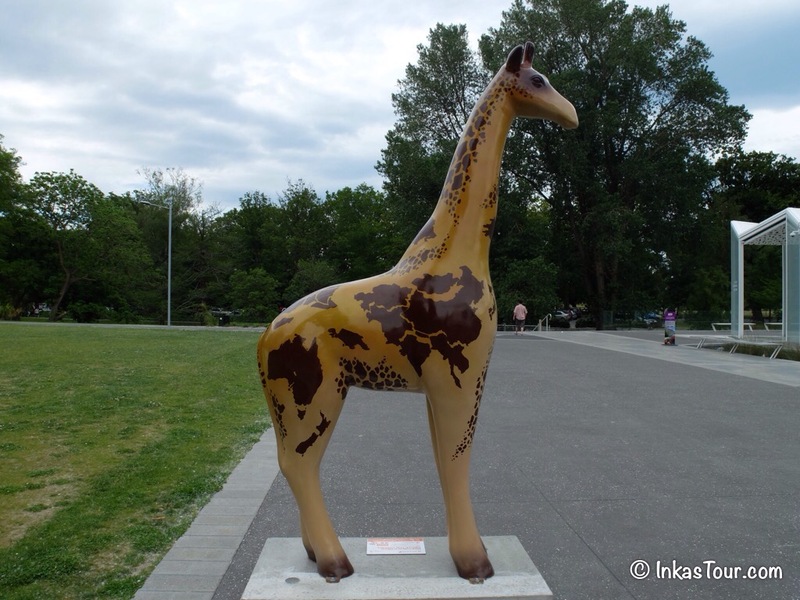 I quite like this Giraffe, this is my side of the World I am currently on, on the other side that may be where you are at the moment. This is the end of an amazing trip with Alina and our trusty Sunny, who was very generous to us, and brought us nearly always Sunny Weather. I guess for Spring that is pretty good. I had loads of fun, and I am glad that I got to meet you and spend this time in New Zealand. Technically there is not much more time needed, I didn’t feel like it was rushed, yes we saw a lot and the days where backed but there were always more relaxing days, and even sleep in days. What I am glad about through is that, it’s rare you meet someone get along with great, spend three weeks with and are sad that they are leaving. Sometimes we are just lucky.